You’ve probably known for years that you should be protecting yourself and your company with legally binding documents and contracts, but the time, effort (and cost) to send a document using a third party service (or God forbid the old paper contract method) has been far too much. 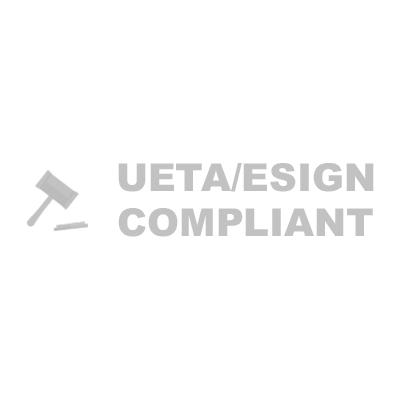 TierFive eSignature is a UETA/ESIGN compliant legally binding document signing system similar to DocuSign, Hello Sign and others you already know. The difference between TierFive eSignature and other document signing platforms is our sole purpose, nay our mission, which is to make it ridiculously easy for you (and your clients) to legally sign documents. Easily sign and distribute documents using your email. Access all of your documents (and your client documents) using the TierFive digital signature website. Some document signing platforms like knocking you down with limitations. Not us. You get unlimited signers on all of your documents. Easily get setup and send your first signer invite email in less than 60 seconds. That was not a typo. Save your settings, create a new document, enter signer details and document info, and click send. We’re not making this up. See for yourself! Documents move turbo speed from signer to signer… but we move even faster! 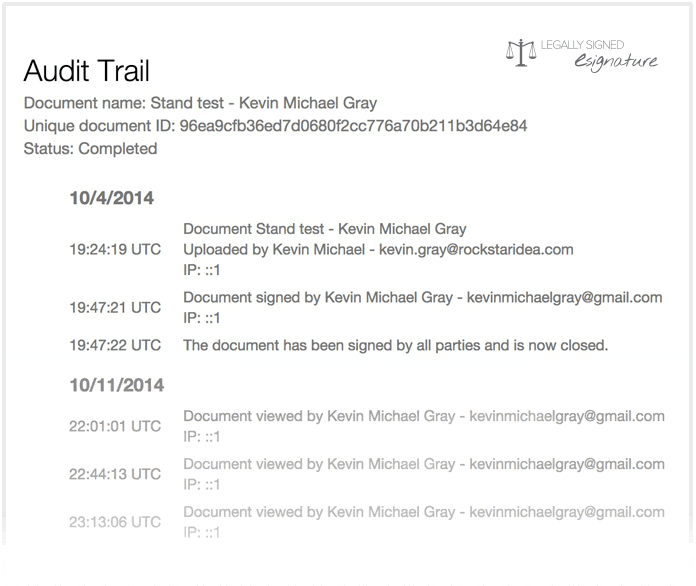 TierFive eSignature generates a detailed audit report for every signed document. Each audit report includes viewer details, IP addresses, document analytics, document id# and itemized signer history. All of your signed documents and signatures are kept hidden and encrypted on your server at all times using a GUID encryption sequence. If a document is ever tampered with it literally will self destruct (seriously).